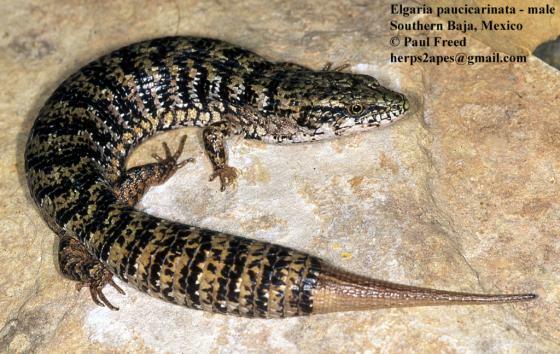 Can you confirm these amateur observations of Elgaria paucicarinata? Type locality: Todos Santos, Baja California. Comment Subspecies: Elgaria paucicarinata cedrosensis (FITCH 1934) has been elevated to full (evolutionary) species fide GRISMER & HOLLINGSWORTH 2001. Distribution: see maps in GRISMER & HOLLINGSWORTH 2001, Leavitt et al. 2017: Fig. 1. One of the diagnostic characters for E. paucicarinata is that it is weakly keeled (Good, 1988). 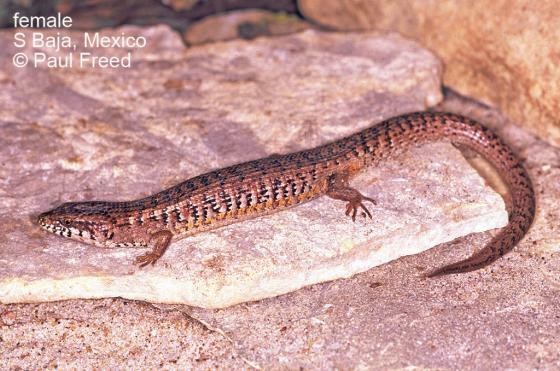 However, lizards of the central peninsular population are strongly keeled, and large adults approach the condition found in E. multicarinata.